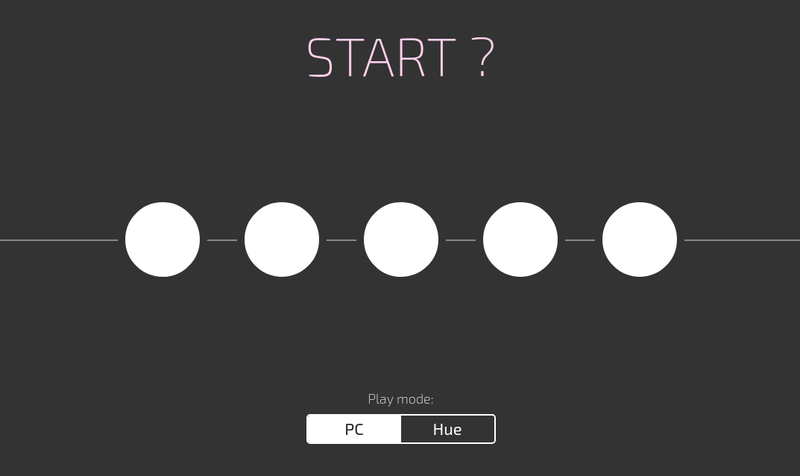 Just Five Lights is an experiment in minimalist game design and "weird I/O." What kind of gameplay is possible when we only have one spatial dimension and five "pixels" to control? 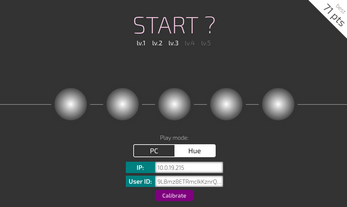 The simplicity of this game makes it possible to play either in your browser or using physical light bulbs! The game's name is a humble homage to Just One Boss by Ayla Myers, which features engaging and fast-paced gameplay, using only a 6x8 grid. Like her game, mine aspires to provide intuitive game mechanics with increasing complexity. 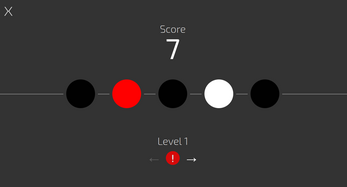 The last level continues until you lose! In order to play with physical lights, you'll need a Hue bridge and five Philips Hue color LED bulbs. Traffic on your local network may interfere with gameplay, so try limiting the number of devices using your network for best results. Restarting the game may be necessary after a connection failure (or if lights are getting "stuck"). Note: If you're playing this game at The Recurse Center, you can use the default settings and skip these steps. Find your bridge's IP address using this tool. Select "Hue" under "Play mode"